at these head-spinning vitamin and calcium bombs. As it's the case with poems, books and Bob Dylan songs, we couldn't pick a favorite and chose to suggest two spice pairings instead. 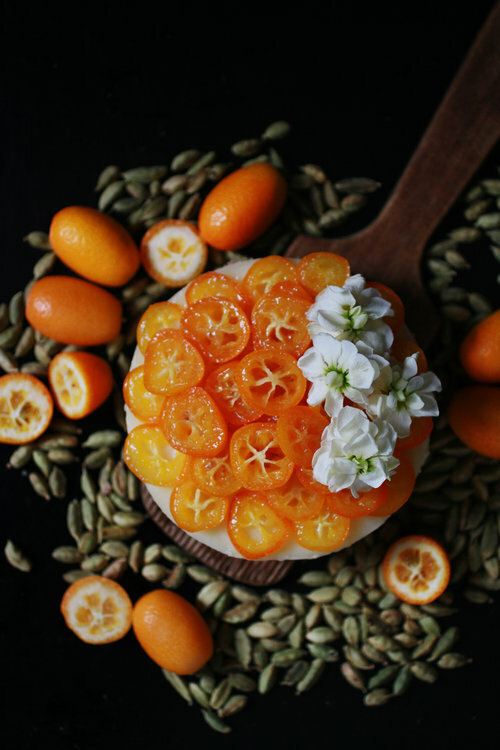 Both combinations balance the tanginess of the kumquats and bring out flavours of the rather heavenly kind. Oh yes, the cakes happen to be vegan and gluten free too, just saying. Heat up a skillet. Toast the walnuts until golden brown and fragrant. Allow to cool down and grind them. Add the agave syrup and the coconut oil and mix well. Place the mixture into a cake tin lined with parchment paper and press firmly until it becomes an even cake base. Place the cake tin in the oven and bake for 5 minutes. Remove the tin from the oven and allow to rest. Add 8 star anise pods (or 10 cardamon pods) to 500 ml cashew milk. Heat the milk slowly and let it simmer for 10 minutes on low, so the spices can infuse the milk. Turn down the heat and remove the spices. Add the cornstarch, the vanilla extract and the agave syrup to the remaining 300 ml of cashew milk. Mix well until smooth and lump-free. Slowly pour the mixture into the hot cashew milk and stir until it thickens and reaches the consistency of a creamy pudding. Add the coconut oil, mix well and pour the cream on top of the walnut crust. Allow the cake to cool down, then place it in the fridge for 3 hours. 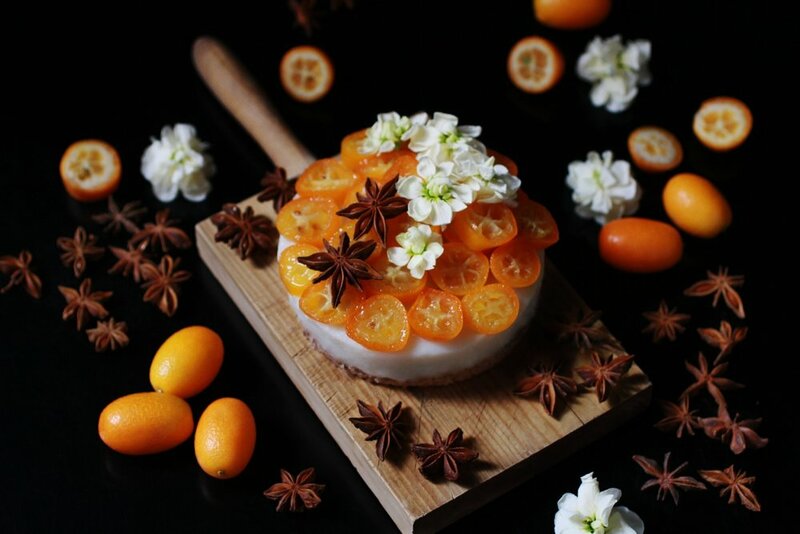 Carefully remove the cake from the tin with the help of a knife. 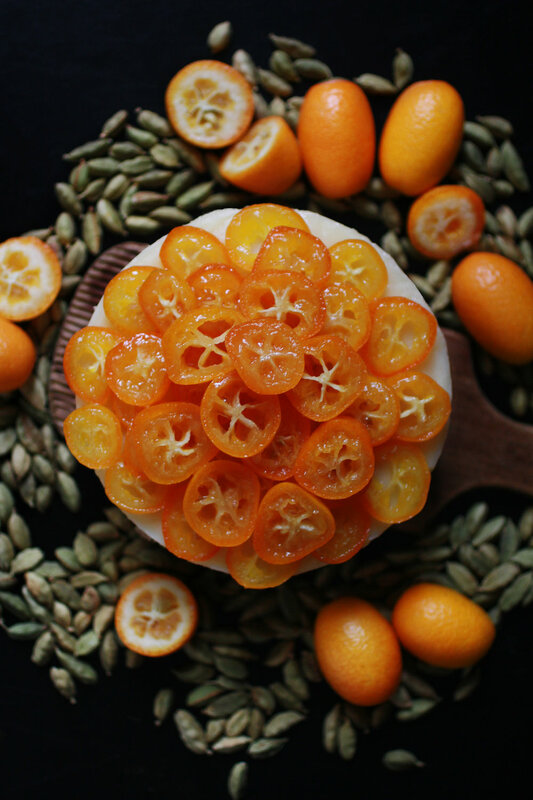 Mix the sliced kumquats with the agave syrup in a pot and simmer for 10 minutes. 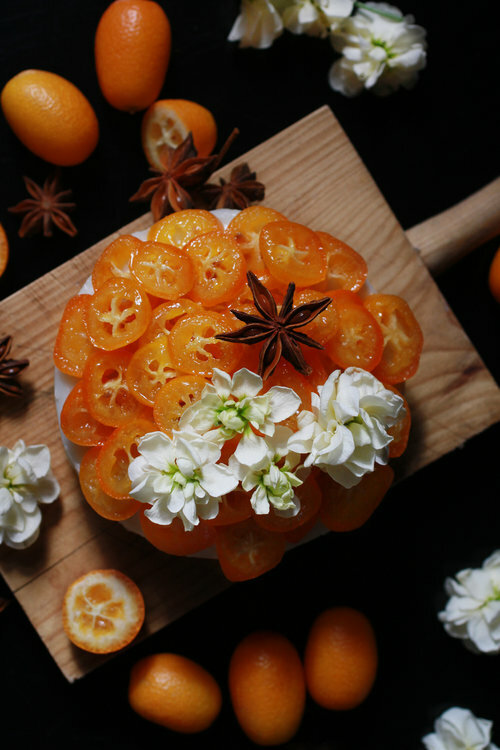 Allow to cool down, then arrange the kumquat circles on the cake. To be enjoyed without moderation.